Coast Valley Moving & Storage is proud to be a premier Orange County moving company serving this diverse community since 1972! As a ProMover member and agent for Wheaton World Wide Moving, Coast Valley is dedicated to quality, customer-centric service and we're also capable of providing relocation services to virtually anywhere in Orange County, throughout California and beyond. As full-service professionals, our moving company offers a diversity of options to suit the needs of our customers. From small household moves to large, complex residential relocation solutions and commercial moving services of all sizes, we are the premier Orange County movers. 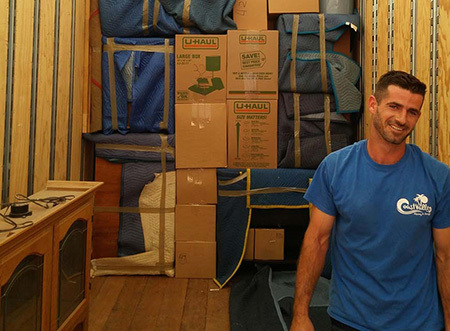 Orange County Residential Movers – In the several decades Coast Valley Moving & Storage has been providing moving and storage services, we've conducted thousands of household moves – transporting homes of all sizes for families going almost any distance. To ensure your experience is exceptional and consistent, we'll assign a dedicated Move Coordinator to your project! Orange County Commercial Movers – There are several Orange County moving companies to choose from; however, none are as attentive to your budgetary needs or place as much emphasis on minimizing your company's downtime as Coast Valley. Our professionally trained and certified commercial moving crews are held to only the highest industry standards when handling your equipment – whether it is sensitive electronic equipment or heavy, misshaped industrial machinery; our Orange County movers can move it for you! Orange County Specialized Movers – Do you require specialized moving services? High-value art, pianos and other sensitive items are moved safely and securely by our professionals. Each of our dedicated movers is highly trained in the art of properly handling, packaging, transporting and delivering your most valuable belongings. Wherever life may take you, we’ll simplify the transition, ensuring your items arrive safely and on time. Headed Next Door? Whether you’re moving down the street or a few towns over, our local Orange County movers make your move simple and efficient. Goodbye California! We’re sad to see you go, but our Orange County interstate movers are experts at simplifying an out-of-state relocation. Go the Distance! Nowhere in the country is too far for our experienced Orange County long distance moving company. Venturing Overseas? Moving abroad doesn’t have to be a stressful process when you work with the experts at Coast Valley. Our professionals Orange County international movers are trained to handle your relocation with ease from the in-home estimate to customs clearance to post-move services. Coast Valley Moving and Storage delivers complete relocation service and storage solutions for households and businesses of all sizes. Coast Valley’s state-of-the-art Orange County storage facility is designed to handle storage services for both commercial and household goods alike. Moving and storage professionals will help you to find the customized storage services that best suit your need. Our expansive, secure storage facility is fully-equipped with both fire- and theft-protection systems to ensure that security of all of your valuable belongings while in our care. For more information on the services we provide at Coast Valley Moving & Storage, please call us toll-free to speak with a friendly, knowledgeable Customer Support Specialist. You may also fill out the quick quote form to receive your FREE, no-obligation moving estimate today!